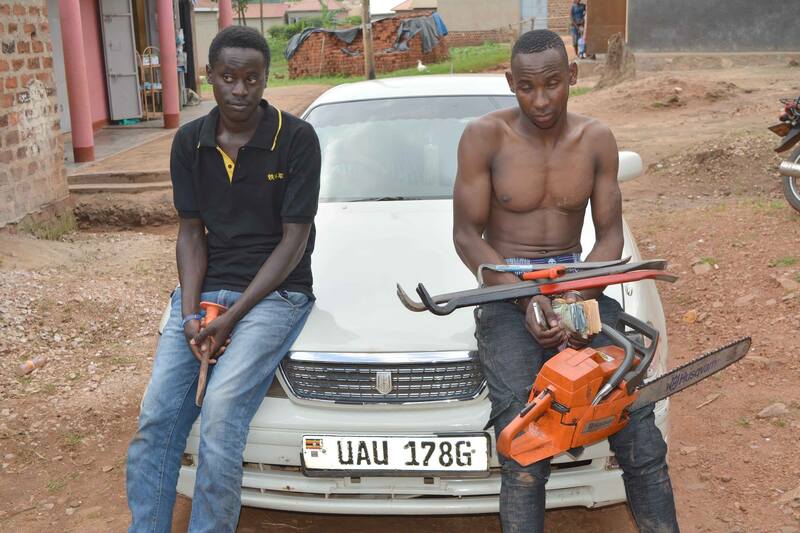 WAKISO – Panga wielding men suspected to have attacked a factory in Kabembe and robbed over 100 million Uganda Shillings have been arrested. Weeks back a gang of unidentified men allegedly attacked a factory belonging to Crane Roofings Limited located in Kyampisi, Mukono District disarmed the private security guards, cut and left them with numerous injuries. Its believed that a one Kawooya, a resident of Yesu Amala – Nansana was the ringleader in the Lwera mission however on was tipped off about the intended arrest, fled the scene and is still at large. The security operatives managed to also arrest a one Ssejjemba a rider of a bodaboda registration number UER 458F who said he had been a close associate to Kawooya in terms of money lending. Sejjemba agreed to meet Kawooya in Kyengera where he was eventually arrested by security operatives as he waited to deliver the money. “It is true we were in the process of executing a mission of robbing money from rich sand miners in Lwera,” Jjingo confessed.